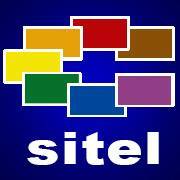 General TV Channel / Sitel Television is the second private television channel in Macedonia. Sitel Television was founded on 22 January 1993, as the second private and independent TV station in Macedonia. The current number of employees is approximately 150 (managing and editorial board, journalists, reporters, announcers, technical staff, marketing and administration) and there are also a large number of correspondents and external cooperators. Sitel TV airs many types of genres, including information, culture, arts, documentaries, entertainment, sports and children's programs. However, the main output is "Informative programming", which includes central news bulletins aired at 19:00 and 23:00 (or 23:15), short news aired at 16:00, as well as round tables, interviews and dialogues.